Fiat S.p.A. is considering listing part of Ferrari S.p.A. to raise cash to increase its stake in Chrysler Group to 51 percent, an Italian newspaper reported Sunday. Citing information gathered at Fiat's Turin headquarters, Il Corriere della Sera said Fiat's main priority is to find liquidity to allow it to fund the acquisition of 51 percent of Chrysler. Listing Ferrari could be the way to achieve that goal. 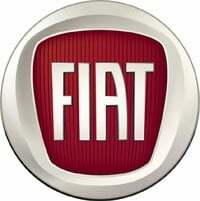 A Fiat spokesman denied the report on Sunday. "There are no plans for any Ferrari listing," he said. On Monday, Fiat CEO Sergio Marchionne said that Fiat will "evaluate everything" on Ferrari. He added that there is nothing immediately "on radar" for the supercar maker. Fiat owns 20 percent of Chrysler and is expected to increase its holding to 35 percent once it meets restructuring goals. It has an option to grow the stake to 51 percent. In a recent study, consultancy Sanford C. Bernstein said it expected Fiat to raise its stake in Chrysler to 51 percent in 2011 or 2012. According to Il Corriere, Fiat would keep a majority 51 percent stake in Ferrari. Fiat could gain considerable cash from a Ferrari IPO, even retaining a 51 percent controlling stake and floating its remaining 34 percent -- or 39 percent if it buys back a 5 percent stake owned by Abu Dhabi investment fund Mubadala. In a recent report, Morgan Stanley in London valued the new Fiat S.p.A. as being worth 7.8 billion euros ($10.2 billion). Ferrari represented 3.1 billion euros ($4.0 billion) in value. Fiat and Chrysler Group CEO Sergio Marchionne gave mixed messages Sept. 16 about Fiat's future plans with Ferrari. He said he would not exclude a possible Ferrari initial public offering before 2014. He also said that he would like to see the Italian automaker raise its Ferrari stake to 90 percent from 85 percent now, if it could do so without losing the Mubadala stake.